Leatherette, a form of artificial leather, is much cheaper compared to leather and, unlike leather, does not fade when exposed to sunlight over an extended period. Real leather is softer and more durable than leatherette, but also significantly more expensive. Some people find leatherette to be a more moral choice as it does not involve animals. Very durable (10-15 years if maintained well), used in rugged conditions, but will fade in sun and degrade with age. Less durable (5-6 years), but more waterproof and ages better. Less variety; most often shades of black and brown, sometimes white. Wide variety of colors as it can be dyed easily. Higher maintenance, requires treatment to prevent aging. Low maintenance, simple cleaning. Automotive interiors, furniture, jackets, work boots & gloves, handbags, shoes. Leatherette-type artificial leather usually associated with automotive upholstery, cheaper handbags, shoes, furniture. Preparatory, tanning, and crusting stages. Bonding of base fibers and PVC or PU cover, treated for texture and colored. Factory farming, use of chemicals in production. Not biodegradable, use of non-renewable materials. Modern high quality leather is soft and comfortable, while still being extremely durable. It's made from treated and tanned animal skins, most often cattle hides, and is sold in different forms ascending price and quality, including: bonded leather (the cheapest), split leather, corrected-grain leather, top-grain leather, and full-grain leather (the highest quality and most expensive). Synthetic leather, first produced in the early 1900s, has experienced several waves of popularity and ridicule. The term “leatherette” is one of the many names for fake leather, (others are fake leather, pleather, PU leather), but “leatherette” is most often used in the automotive and furniture industries. 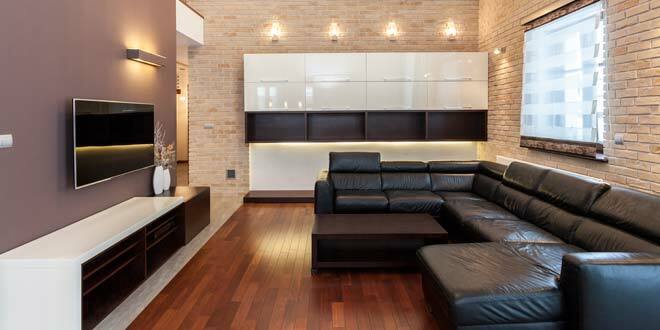 Leatherette upholstery is a an alternative to both real leather and cloth. Once very popular in the automotive industry when it was merely called vinyl, it fell out of favor due its tendency to become very hot in the sun, very cold in the winter, and cause sweating. Better-engineered leatherette is again becoming a popular choice, and is ever being marketed as a premium feature by some auto makers, such as Volkswagen, and seems to be a legitimate material in designer fashion. High quality leatherette can now be very difficult to distinguish from real leather, at least on first glance. A close inspection, however reveals that real leather has inconsistently spaced pores, while fake leather will have perfectly even or repeating pores. Real leather tends to have more of a buttery and supple feel, while leatherette will have a slight plastic feel. Real leather also has a very particular smell that can usually be distinguished from the imitation of synthetic leather. The production process of real leather involves three stages: preparation, tanning, and crusting. The preparatory stage is when the hide is unhaired, fleshed, degreased, bleached, and treated in other ways. The tanning process turns the hide into a usable material that is flexible and will not putrefy if wetted (as opposed to dried raw hide, which is stiff and will putrefy). The most common tanning material is chromium, which stabilizes the proteins. The hide is then put in a rotating float with tanning liquor until it is saturated. The crusting stage readies the leather for use, and can include softening, lubrication, coloring, buffing, and many other treatments. The advantages of real leather include creating a higher resale value for cars, furniture, and other products in which it’s used, as real leather is regarded as a luxury feature and carries an air of prestige. It also “breathes” better than fake leather, making it more comfortable for use in products than come in direct contact with skin. High quality leather becomes softer as it ages, and has a distinct smell that many people prefer. Real leather is very durable against tears and punctures, and as such has had a long history of use in difficult working environments. The foremost advantage of leatherette is that it’s cheaper than real leather. It can also be made into almost any color or textures, which has appeal for fashion designers looking to try new ideas. Synthetic leather is also very easy to clean and maintain, requiring only an occasional wipe down, and it is less susceptible to fading in UV light. It also doesn’t require the deaths of any animals or use of animal products. Real leather usually comes at a premium price. 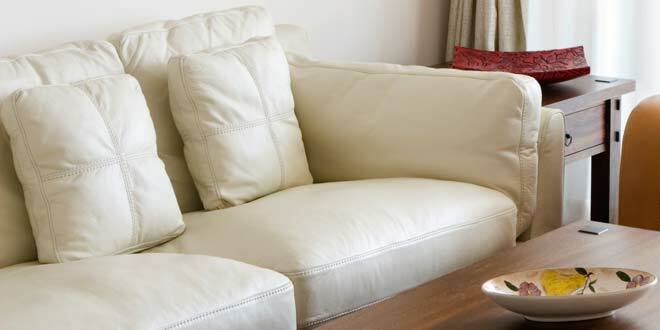 Furniture or clothing using real leather can often cost double what a synthetic leather equivalent would cost. Real leather, if exposed to direct sunlight over an extended period of time, such as in a vehicle interior, will fade and lose its color. As it is made from animal products, real leather is a non-option for vegans and those who wish to avoid luxury animal-based products. Leatherette has traditionally been seen as a cheap knockoff of real leather (although this seems to be changing), and doesn’t carry the same prestige. It also doesn’t breath as well, and tends to be uncomfortable directly on the skin. As synthetic leather ages, it the top PU layer often cracks and splits along stress points, revealing the cloth underneath, as most people have seen in old car seats. Except for when left-over split leather is used as the base, leatherette does not contain animal products, and is therefore seen as an ethical alternative to leather by vegans and animal rights enthusiasts. But environmentally speaking, leatherette is a nonrenewable product based on plastics, and PVC in particular is a non-biodegradable and environmentally harmful material.